Since his death in 1924, Kafka has come to be regarded as one of the greatest modern writers, one whose work brilliantly explores the anxiety, futility, and complexity of modern life. The precision and clarity of Kafka's style, its powerful symbolism, and his existential exploration of the human condition have given his work universal significance. In addition to the title selection, considered by many critics Kafka's most perfect work, this collection includes "The Judgment," "In the Penal Colony," "A Country Doctor," and "A Report to an Academy." Stanley Appelbaum has provided excellent new English translation of the stories and a brief Note placing them within Kafka's oeuvre. was one of the major fiction writers of the 20th century. He was born to a middle-class German-speaking Jewish family in Prague, Bohemia (presently the Czech Republic) , Austria-Hungary. His unique body of writing - much of which is incomplete and which was mainly published posthumously - is considered to be among the most influential in Western literature. 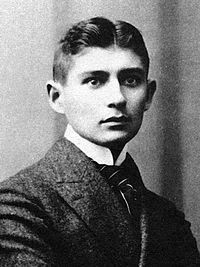 His stories include The Metamorphosis (1912) and In the Penal Colony (1914) , while his novels are The Trial (1925) , The Castle (1926) and Amerika (1927) .Kafka's first language was German, but he was also fluent in Czech. Later, Kafka acquired some knowledge of French language and culture; one of his favorite authors was Kafka first studied chemistry at the Charles-Ferdinand University of Prague, but switched after two weeks to law. This offered a range of career possibilities, which pleased his father, and required a longer course of study that gave Kafka time to take classes in German studies and art history. At the university, he joined a student club, named Lese- und Redehalle der Deutschen Studenten, which organized literary events, readings and other activities. In the end of his first year of studies, he met , who would become a close friend of his throughout his life, together with the journalist , who also studied law. Kafka obtained the degree of Doctor of Law on 18 June 1906 and performed an obligatory year of unpaid service as law clerk for the civil and criminal courts. Kafka's writing attracted little attention until after his death. During his lifetime, he published only a few short stories and never finished any of his novels, unless "The Metamorphosis" is considered a (short) novel. Prior to his death, Kafka wrote to his friend and literary executor Max Brod: "Dearest Max, my last request: Everything I leave behind me ... in the way of diaries, manuscripts, letters (my own and others') , sketches, and so on, [is] to be burned unread. " Brod overrode Kafka's wishes, believing that Kafka had given these directions to him specifically because Kafka knew he would not honor them - Brod had told him as much. Brod, in fact, would oversee the publication of most of Kafka's work in his possession, which soon began to attract attention and high critical regard. Max Brod encountered significant difficulty in compiling Kafka's notebooks into any chronological order as Kafka was known to start writing in the middle of notebooks, from the last towards the first, etc. All of Kafka's published works, except several letters he wrote in Czech to Milena Jesenská, were written in German.